Sometimes the hardest working musicians in the business get lost in the shuffle of what’s new; not this time. 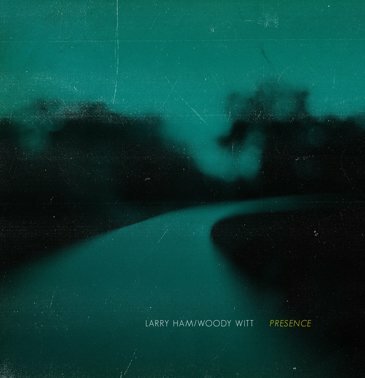 Pianist Larry Ham, has teamed up with award winning saxophonist Woody Witt for a solid collaboration entitled Presence, the co-leaders are joined by Lee Hudson on bass and Tom Melito on drums. Witt and Ham first met in 2008 when the New York-based pianist was on tour in the Southwest. The musical friendship was immediate, since that time – the two have joined together for tours on a nearly annual basis, sometimes performing as a duo and on other occasions as a quartet. Presence, was born when Witt and Ham had a successful eight-day tour throughout New York. The album kicks off with “22’s Blues,” Witt immediately establishes his signature sound, with a rounded warmth and articulate lines, Ham comps under Witt aided by the swinging support of Hudson and Melito, as the tune heats up into a savory swing. Witt’s lines soar with command and control. Bassist Lee Hudson takes an economical yet effect chorus solo that sets up nicely for pianist Ham to embellish with quick arpeggiated lines that sear the tune to high heat. The classic “Just You, Just Me,” at the halfway mark in the album program, features drummer Melito at the top of the head. With group hits and Witt stating the melody, you know you are in for an enjoyable turn of this well-known standard. What makes this version so impeccable is the groups individualistic approach and solid musicianship. Sometimes it’s not about reinventing the wheel, but digging into the muster of a tune. The groups musical rapport and mutual embrace of spontaneity is a key element to the success of this tune. A pensive “You Must Believe in Spring,” offers a sort of closing out of the journey, I have always loved albums that set you on a relaxed and introspective parting. Though brief, it’s just the perfect time to reflect and refresh the moment, creating a genius within the idea of succinctness. What I liked most about Presence, was the unbridled ability of each player, the dominance of the co-leaders equally and generously sharing the spotlight together in a cohesive group sound that is memorable. Witt is a commanding and skilled player; his tone and skill is light-years ahead of most players and his playing leaves an impression well after the album has completed. Ham is a perfect match to Witts’ masterful playing. Ham is a memorable soloist, accompanist and his lines are assured and uniquely his own. Bassist Lee Hudson, is elastic when needed and then resolute when called for, while drummer Tom Melito listens and reacts to create exciting textures and colorizations for the benefit of the overall group sound. This is a recording not to be missed as it holds its Presence. Be the first to comment on "Woody Witt & Larry Ham | Presence"